Dora Barilla is the President and Co-Founder of HC2 Strategies. Previously, she was the Assistant Vice President, Strategy and Innovation, Associate Director, Institute for Health Policy and Leadership, and Associate Director, Institute for Community Partnerships at Loma Linda University Health. She is also the founder and Director of Partners for Better Health, a not-for-profit organization that promotes health initiatives in communities. Dr. Barilla has worked in health care for many years, partnering with hospitals, providers, health plans, public health, elected leaders, business and community-based organizations. She has implemented innovative alternatives to traditional health care by using a collaborative and community-based approach. She serves on the Board of Trustees for San Antonio Community Hospital and American Heart Association. Eileen Barsi is a health advocate who has dedicated her professional career to the service of others, with a specific focus on underserved and vulnerable populations. Following 26 years in the health care sector, she has formed her own consulting business and offers consulting services in the areas of Community Benefit / Population Health as well as comprehensive care of the older patient along the care continuum. Previously she was the Senior Director of Community Benefit at Dignity Health and a member of the Mission Integration Team, accountable to the Audit and Compliance and Strategy Committees of the Dignity Health Board of Directors. Eileen completed her undergraduate studies in education and graduate studies in gerontology at Notre Dame de Namur University in Belmont, California, and has completed coursework in epidemiology at San Francisco State University. She is also a certified spiritual director. For the last several years Ms. Barsi has served as the co-chairperson of the Community Benefit Committee of the Catholic Health Association; is a member of the National Advisory Council of the AHA Association for Community Health Improvement. Ms. Barsi served on a statewide coalition with representatives from the California Department of Public Health and Department of Aging to advance evidence-based chronic disease self-management education. Ms. Barsi currently serves as an advisory member for Stakeholder Health, a national movement of leading health care systems in the U.S. Stakeholder Health has evolved from a learning collaborative originally convened by the White House Center for Faith-based and Neighborhood Partnerships. Angela Haggard serves as the Vice President for Product Development at IlliniCare Health. IlliniCare Health is a Managed Care Organization (MCO) contracted with the state of Illinois to provide comprehensive, coordinated health care services to improve quality and outcomes for Medicaid recipients. Previously, she was the System Service Line Vice President for Presence Health, the largest Catholic Health System in Illinois. She worked collaboratively providing transformational senior leadership for the system’s overall Medicaid and community health vision to improve the health of the communities served. 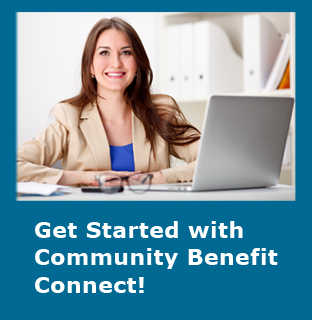 In this role she also led the system‐wide community benefit efforts. In 2011, she was named one of “Tomorrow’s Leaders,” a national distinction awarded by the Catholic Health Association of the United States (CHA) to high‐performing individuals who have demonstrated commitment to advancing the mission of Catholic health care. Angela earned her MBA from Olivet Nazarene University in Bourbonnais, IL and her BS in Administrative Management from Eastern Illinois University in Charleston, IL. She was the co-chair of CHA’s Community Benefit Committee from 2011 – 2014 and is a member of the American College of Healthcare Executives. Arthur Himmelman is a nationally recognized consultant who assists organizations and communities in the design, implementation and evaluation of community and systems change collaboration. His speaking engagements, consultations and publications include insightful conceptual frameworks for understanding the collaborative change process with user-friendly, practical guides promoting mutual respect, learning and accountability. Before creating his consulting practice, Arthur was a senior fellow at the Hubert H. Humphrey Institute of Public Affairs and a senior program officer at The McKnight Foundation and The Saint Paul Foundation. He also worked extensively on expanding access to higher education for inner-city communities, and served as a staff member at a community action agency, several community colleges and the University of Minnesota. Arthur has served on numerous nonprofit boards, including organizations that advocate increasing access to the arts, providing women safe passage from abuse, supporting decent and affordable public housing, and campaigning and organizing for social justice. Arthur also enjoys reading, provocative conversations, golf, music, dancing and any and all magical moments. Donna Meyer is Director of Shareholder Advocacy for Mercy Investment Services, Inc. She specializes in health and community related issues while performing this socially responsible investment work. Previously, she was system leader for community health for the CHRISTUS Health system. In this position she managed the CHRISTUS Fund grant program, the community direct investment program, the socially responsible investment program, and the other community benefit activities for the system. She currently holds a faculty appointment at the Saint Louis University College for Public Health & Social Justice; she uses her doctorate in Public Health and her specialty in community health to teach and provide for leadership for developing programs and services which focus on improving the health of local and global communities. She serves on the Board of the Texas Health Institute, as a member of the Catholic Health Initiatives Mission and Ministry Committee, on the University of Texas Research Conflicts of Interest Committee, and as chair of the socially responsible investment committee for Salient Partners, an asset management firm. Dr. Meyer is a Fellow of the American College of Health Care Executives; she earned her BS and MS from the University of Minnesota and her Doctorate from the University Of Texas School Of Public Health. Mark Rukavina, is the Business Development Manager at the Community Catalyst Center for Consumer Engagement in Health Innovation. Community Catalyst is a national nonprofit advocacy organization working to build consumer participation in the health care system. In this position, he manages the consultative service offerings to assist health plans, provider groups, social services providers and others to effectively engage consumers in new models of care, as well as advise hospitals and health systems on effective methods of community engagement and providing community benefit. Mark has more than 25 years of experience working on health policy issues. He is recognized for his policy expertise on health care affordability, community benefits, and community health improvement. Mark recently testified before the Consumer Financial Protection Bureau and has testified before House and Senate Congressional committees. He has served on a number of Healthcare Financial Management Association Working groups including those focused on surprise medical bills, price transparency, and medical debt. His previous experience includes being a principal of Community Health Advisors, LLC. He has served as executive director of The Access Project, a national nonprofit and also served as Program Director for a partnership under a national demonstration program sponsored by AHA’s Health Research and Educational Trust. He holds an MBA from Babson College and a BS from of the University of Massachusetts in Amherst. Vondie Woodbury is widely recognized as a national expert in community health processes and innovative programming through her work at the Muskegon Community Health Project in Muskegon, Michigan. The project is known for its innovative use of community-led collaborative structures to address coverage expansion, access to care, elimination of health disparities, reduction of service duplication and the intentional linkage of spending to needs assessment processes. Her recent work has targeted the intersection of Population Health Management and traditional hospital community benefit within Trinity Health a 90+ strong Catholic hospital system located in Livonia, Michigan where, until recently, she served as Vice President of Community Benefit. While at Trinity, Vondie oversaw the system-wide implementation of Affordable Care Act requirements for Community Benefit. She established new processes/protocols including “playbooks” that targeted inclusive CHNA processes, coverage expansion, and grassroots engagement, using an “excellence in local community benefit” approach. Vondie has participated as a faculty member with the Institute for Healthcare Improvement, the Catholic Health Association, and the Community Anti-Drug Coalitions of America. As a private consultant she has worked with the Health Resources and Services Administration on community-clinical linkage models to address the social determinants of health and with the 100 Million Healthier Lives Campaign at IHI targeting the Pathways Community HUB model and the Surgeon General’s effort to address opioid addiction. At present she is working as a consultant with the State of Michigan’s CMS-funded State Innovation Model (SIM) team and, with CJA on a social networking project targeting community innovators.